The Fort McMurray, Canada wildfires continue to burn and have now spread beyond Alberta and into Saskatchewan, and as losses begin to be calculated the wildfires are now being called the largest wildfire insured loss in history. 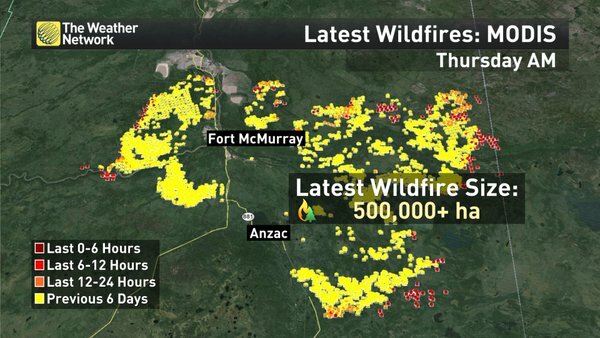 The wildfires have now burnt over 500 thousand hectares, around 1.2 million acres, and continue to spread, making the extent of the Fort McMurray fires the largest to hit the region ever, according to local news reports. It’s understood that the final insurance and reinsurance industry loss total is likely to continue to shift upwards within loss estimate ranges, as on top of the residential and commercial property damage insurance and reinsurance will end up paying for some costs to the oil sands shutdown, through business interruption, as well as some additional claims from certain types of infrastructure damage. In fact, it has been reported that lost production from the Alberta oil sands would cost at least US$760m as of Tuesday, a figure which has likely continue to rise through this week as not all of the oil sands facilities have been able to get back to work. The oil sands impact has been around 1.2 million barrels of oil production a day for more than two weeks, which at US$760m has been called the equivalent of 0.33% of Alberta’s GDP for the year. As this lost production figure rises there will be more claims filtering through to the insurance industry, raising the ultimate industry loss and the amount that reinsurance will pay for. AIR Worldwide this week provided the first risk modeller insurance industry loss estimate, putting the insurance and reinsurance industry loss in the range of US$3.4 billion to US$6.9 billion. It’s been reported that in the last 48 hours the wildfires have hit some of the oil sands facilities themselves, with one 665 room oil sands worker camp, the Horizon Black Sands, lost completely to the fire and others threatened. These losses to oil sands facilities and the loss of production are not included in AIR Worldwide’s insurance and reinsurance industry loss estimate, which suggests that the toll for the re/insurance industry will be higher than the estimates alone suggest right now. Only six wildfires, including this one, have ever resulted in an insurance loss of over $1 billion and the Fort McMurray fires now look set, based on the low-end of AIR’s estimate and the fact that this does not include all losses that insurance and reinsurance will pay for, to become the largest ever. 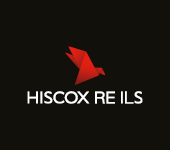 Reinsurance and retrocession markets, including some ILS funds and sidecars, are expected to take the lions share of the insured loss, as the regions primary companies are conservative reinsurance users and some are expected to pass on 70% or more of their losses. The fires also raise questions about contract terms, with some insurers hoping to claim more than once on reinsurance contracts thanks to interesting hours clause reinstatement terms, according to the Insider. Practices such as that could increase the loss for reinsurers even further, but the fallout could at least help to drive home the soft market terms expansion risk, perhaps driving a bit more discipline into such arrangements in future. The bulk of the loss will fall to the world’s largest reinsurance firms, with their quota share sidecars, some traditional and ILS retro players and other collateralised reinsurance and retro set to take some of the loss as well. With the oil sands likely to feel the impact of the wildfire and some loss of production for a number of weeks as they struggle to get back to work in the wake of the fires the losses could keep mounting. Thankfully the weather has changed and the region has a weekend of cooler weather with some rainfall ahead, which could help the fire fighters to get more of a grip on the spread of the blaze. But next week will see temperatures rise again and drier weather, and with a fire of this scale it is hard to see it being extinguished any time soon. We’ll continue to update you as information emerges.